While hearing loss can be caused by hereditary factors, there are a couple of external factors that cause damage as well. Lucky for us, these external factors can be managed to prevent and reduce damage to our hearing. The following are two common causes of hearing loss our Oklahoma Hearing Center often encounters and how to possibly prevent these causes. 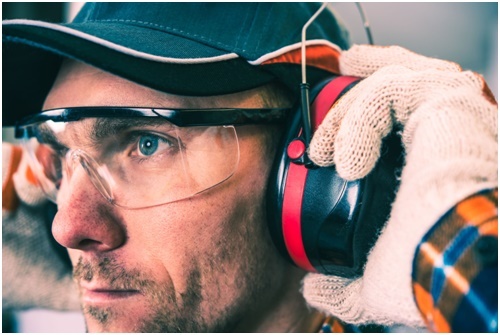 One of the most common occupational hazards in the US and causes of hearing loss is loud noises. Those who work in industrial factories or construction positions are exposed to loud noises on a regular basis, but they are not the only ones. People who work with airplanes, use headphones every day or go to concerts without earplugs can also have damage to their hearing. This is caused by the tiny hair cells in our ears being destroyed. Once those cells are gone, they can’t be replaced. Remember that as sound levels increase, the time you can be exposed to it without hearing loss decreases. If you have to shout to be heard by someone within an arm’s length away, the current noise is enough to potentially damage your hearing. Remove yourself from the situation immediately or use earplugs or muffs to block the sound and protect your ears. Warning signs you should watch for are ringing or buzzing in your ears, difficulty understanding what people are saying, or a feeling of fullness in your ears. If you find yourself experiencing any of the above, you should see a professional at our Oklahoma hearing clinic. Another cause of hearing loss that can lead to a visit to our Oklahoma hearing center are medications that are toxic to the ears, called ototoxic drugs. Some examples are aspirin and some other over-the-counter drugs in high doses, some chemotherapy or anti-inflammatory drugs, some antibiotics and loop diuretics. If you find yourself with tinnitus in one or both ears, pressure in the ears without infection or vertigo aggravated by motion, you should see your doctor. To prevent this type of hearing loss, always ask a physician if the medication you are taking has hearing loss as a possible side-effect. If it does, then ask if there is a safer substitute that would be as effective. Ototoxic drugs can damage your hearing the first time you take them or after having it prescribed many times. You don’t want to take a chance. Always protect your hearing and see someone at an Oklahoma hearing clinic if you notice a problem with it. We can measure the damage and help you adjust to the world around you. Contact Oklahoma Hearing Center today to schedule an appointment with one of our expert audiologists. We look forward to meeting you and helping you on your path to optimum hearing health.